Disclosure: This is a sponsored post, written by me for Big G Cereal. All thoughts are my own. Who is the greatest superhero!? Of course, *I* know that Superman is the absolute greatest. He's the absolute ultimate superhero, right? Faster than a speeding bullet, able to leap tall building in a single bound, fighting for truth, justice and the American way? What could be better than that? My husband on the other hand is all about Batman. He thinks the fact that he doesn't have any actual super powers and is just a human somehow makes him the better superhero...yeah, I don't get it either! As for our son, we each trying to brainwash persuade him into our way of thinking. 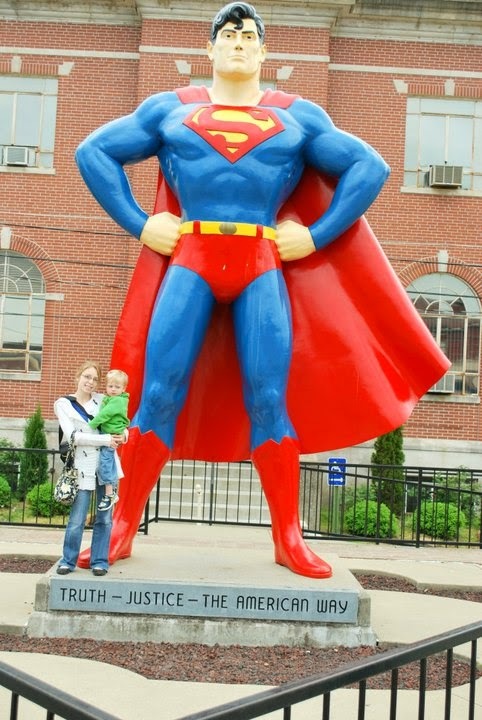 Some days he'll agree with me and say Superman is the best (good kid! ), and others he'll side with his daddy with Batman (well, you can't win them all). Either way, we love our superheroes in this household, so we were thrilled to learn about the DC Comics Justice League Comic promotion from Big G Cereals! Until the end of April 2014, fans can find four collectible comics in specially marked Big G Cereals including Cinnamon Toast Crunch, Lucky Charms (my favorite), Honey Nut Cheerios, Trix, Cookie Crisp and Reese's Puffs. 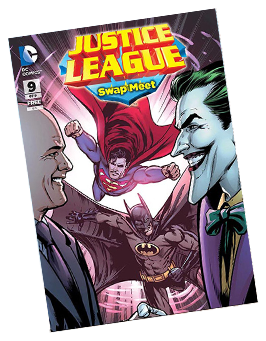 Each box includes a free comic featuring the DC Comics Justice League favorites like Superman, Batman, Wonder Woman, The Flash, Green Lantern, Aquaman and Cyborg. These cereals can be found at all mass grocery stores across the country...and for my fellow Target shoppers, there is a bonus fifth issue (pictured above) exclusively at Target!! In addition to these wonderful comics, each box will also feature a fun cut out mask so the kid (or grown up kid) in your life can let their inner superhero shine! To learn more about these comics and this wonderful promotion, visit the website. And stay tuned for more info on #superheroing and how you can help your children gain confidence and find the superhero inside of them. Do you have a favorite superhero? Favorite Big G Cereal? Which comic are you most looking forward to reading?